It doesn’t take much prodding for Gov. Andrew M. Cuomo to emphasize the positive developments fostered around Buffalo by New York State. He points to a bustling Canalside, the Tesla/Panasonic plant financed by the “shock and awe” of his Buffalo Billion economic development plan, and the Richardson Olmsted Campus on the city’s West Side – all jump-started by state investment. And during a Wednesday visit to The Buffalo News, Cuomo said the newly adopted state budget will continue those efforts. But its $12.7 billion for projects around the region, he said, must now spur the private sector to match and surpass the state’s investment. Indeed, the governor said he expects the private sector to follow the state’s lead. He thinks private business will logically follow to continue investing at Canalside, Tesla/Panasonic and the Richardson complex that is now proposed for further expansion. His economic development czar, Howard A. Zemsky, said new ideas beyond the Hotel Henry at the former psychiatric hospital will naturally follow the state’s $76.5 million investment – and they should emanate from the private sector. 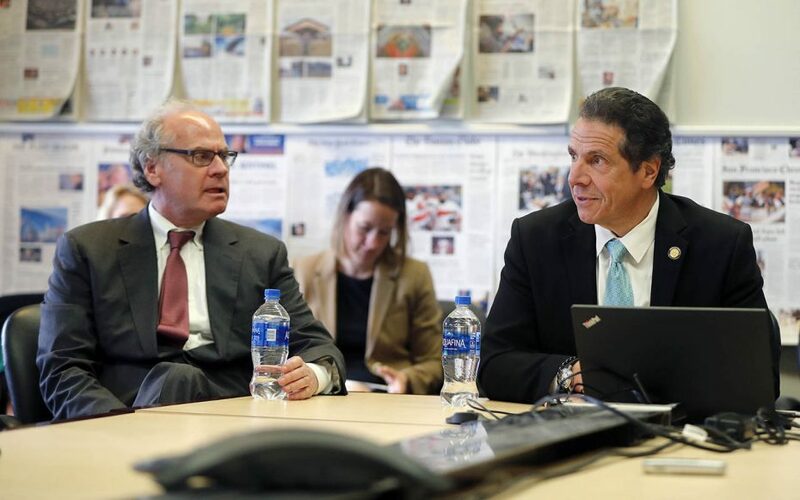 “The idea is not to have the public sector perpetually carrying the burden of financing,” Zemsky said, prompting the governor to define his own vision for the state's economic development strategy. 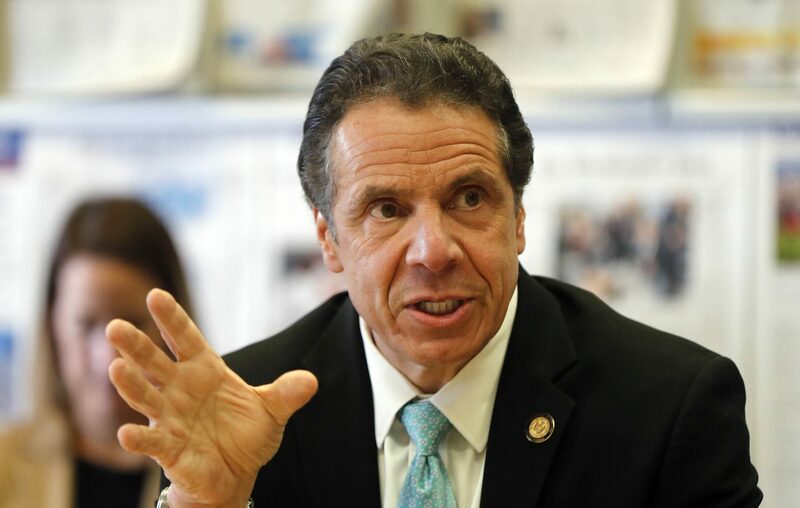 And Cuomo – who likely would have to be on board with providing the large amount of state money that would likely be part of any project – wasn't tipping his hand Wednesday on whether he prefers one option or the other. "The improvements in the stadium were a big deal," Cuomo said. "We were very active in keeping the Bills here." Instead, Cuomo deferred to Zemsky, who said he would wait to see the results of the research now being done on the stadium issue for Bills owners Kim and Terry Pegula. Cuomo would slap Tesla Inc. with a $41.2 million penalty if the company doesn't meet its job creation promises at its solar panel factory in Buffalo by next April. But the governor said that he has seen no indication Tesla will miss its next benchmark. "They're ahead of schedule," Cuomo said. "It's going to be a legal question, it's going to be a constitutional question. It's going to be freedom of religion, it's going to be First Amendment," Cuomo said. "We're looking at it now, but it's going to be a pure legal question." News reporter Barbara O'Brien also contributed to this report.